We love it when gorgeous new princess wedding dresses arrive in stores, and the two below are totally dreamy. 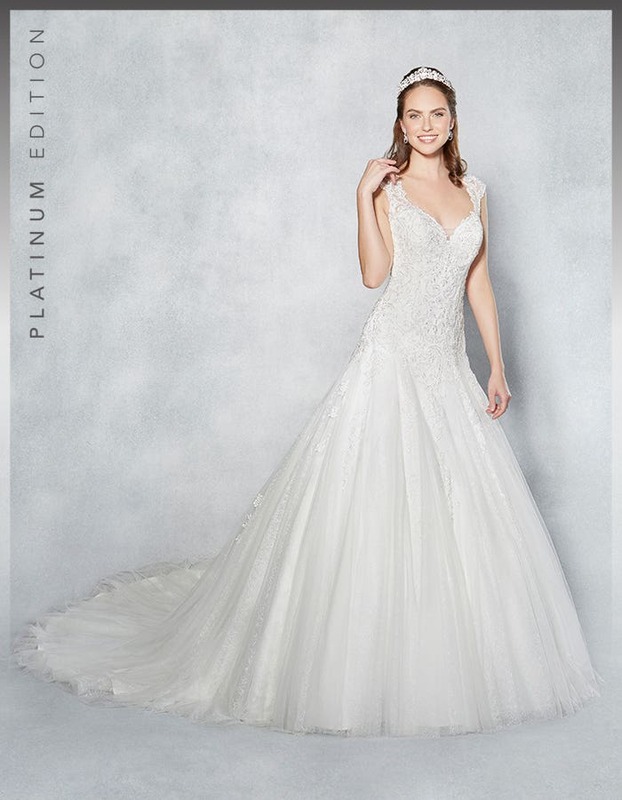 Part of our Viva Bride Collection, they really do have everything a princess bride is looking for, think big skirts, sumptuous beading and plenty of wow factor. What’s more, they’re also Platinum Edition designs, which makes them extra special. 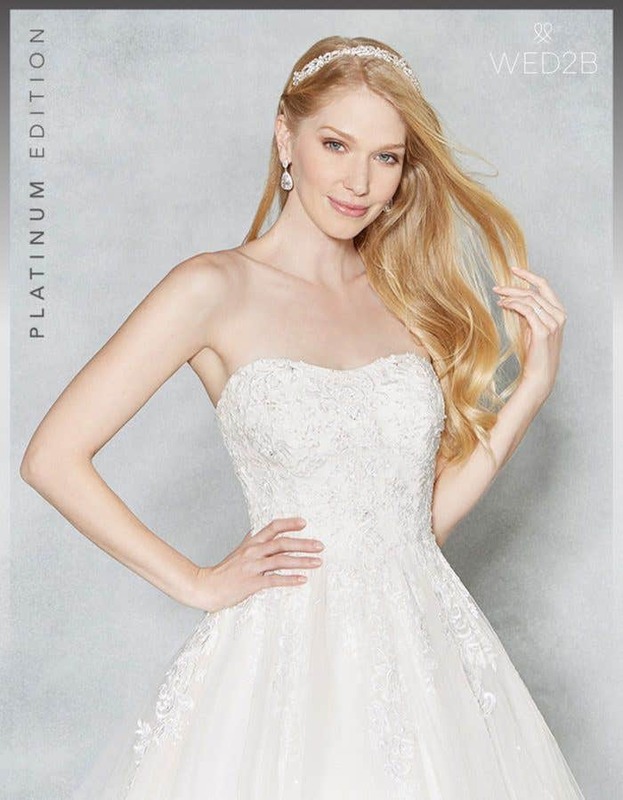 They incorporate all of your favourite Viva Bride elements but with more inspired details, more luxurious lace and even more sparkle and glitz! 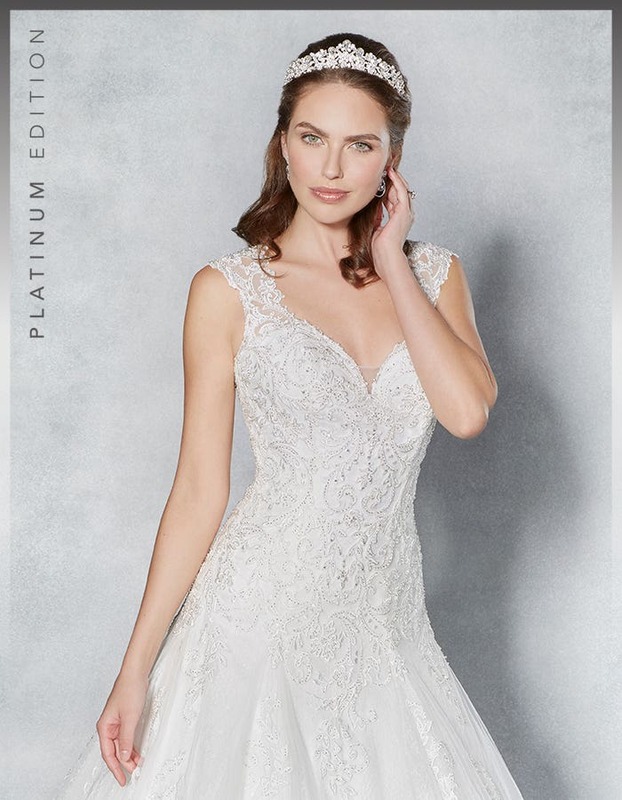 Lucienne is a stunning fit and flare style with pretty cap sleeves, layers of sumptuous lace and a fabulously flared skirt that really is fit for royalty. The bodice here is full of modern romance. It’s covered with oodles of decadent beading that will sparkle from every angle as you walk down the aisle. 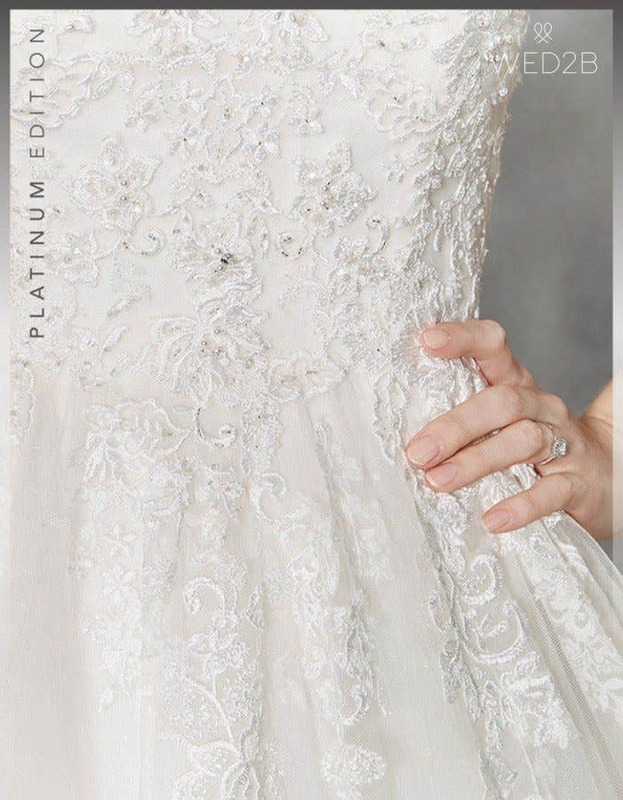 There’s also a cobweb lace underlay, which adds a luxe texture and a 3D effect to the dress. 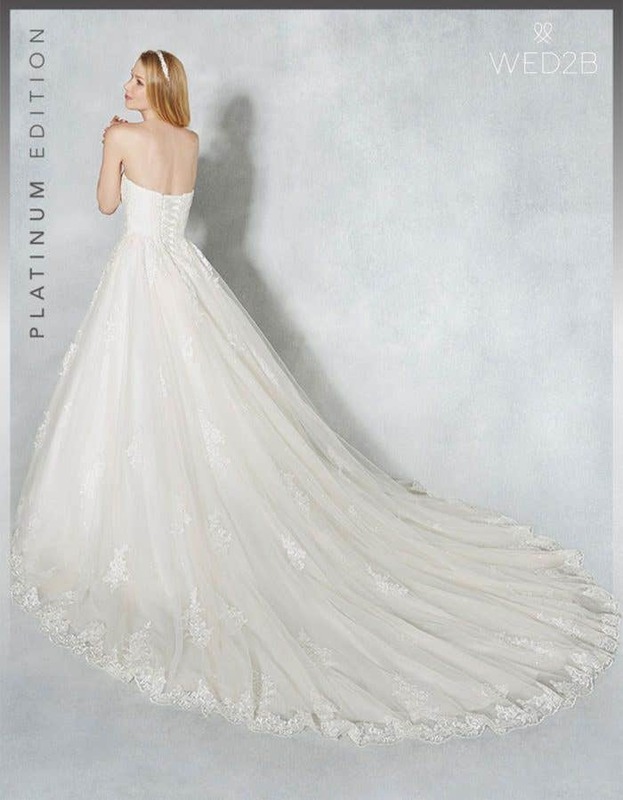 A sweetheart neckline is the perfect style for modern princess wedding dresses. This one features a small illusion panel to offset the attractively low dip. 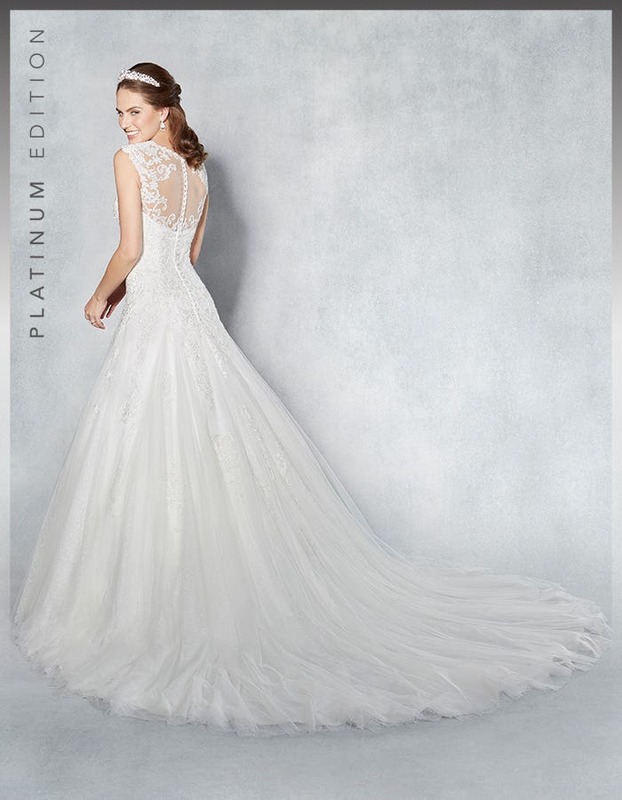 The intricate lace straps are also perfect for brides who want a little more coverage. Try this on with our regal Alexi tiara to complete the look. Turn around and you’ll reveal the striking illusion back. 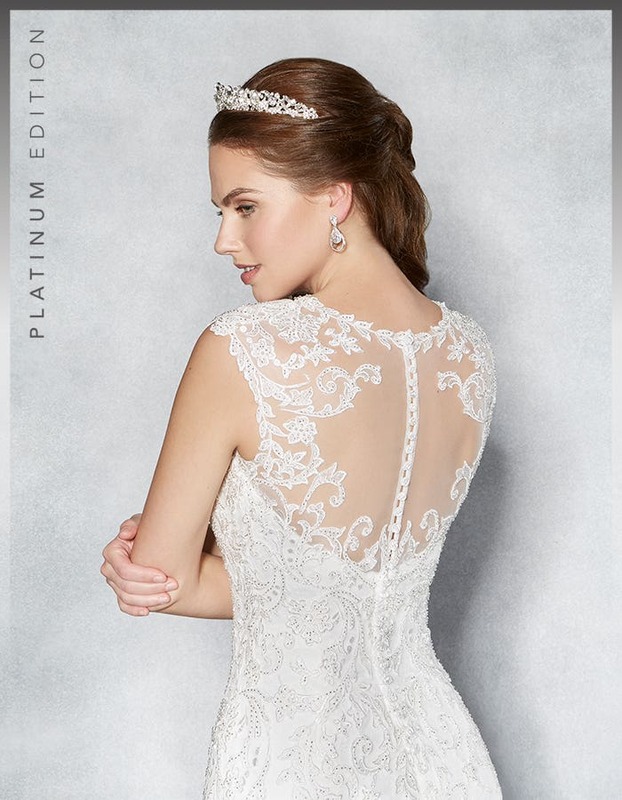 The beaded lace appliqués frame the back and shoulders beautifully while the pretty row of covered buttons is an attractive focal point. What’s a princess without a flowing skirt? And this one ticks all the boxes! It features godets, which add volume and character to the skirt, alongside embroidered lace appliqués, making it truly unique. Plus, did you know, a fit and flare silhouette is a great style for elongating the body? If you like princess wedding dresses like this one, we think you’ll also like glamorous Leilani and stunning Jamie. If you’d prefer a design with sleeves take a look at Lucy too. 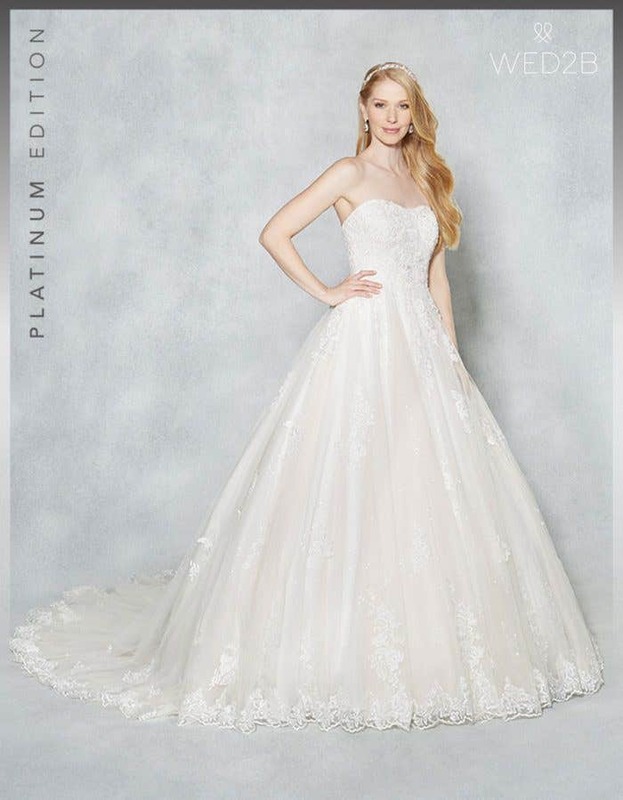 Hayley is a strapless ball gown in the softest shade of blush and featuring sparkling lace from head to toe. We’re in love! The gently dipped sweetheart neckline is super feminine and flattering, whatever your cup size. 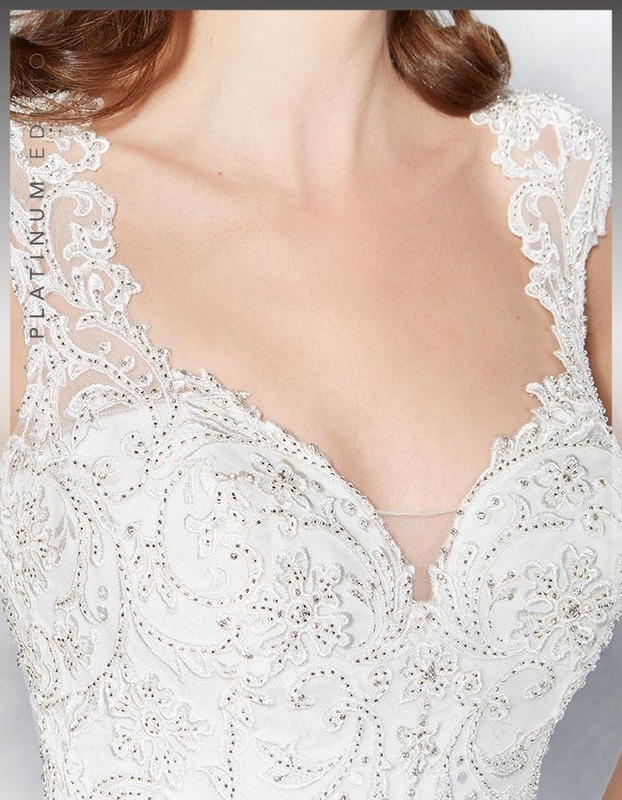 Take a closer look at the bodice and you’ll see the gently sparkling lace appliqués in all their glory. A little extra sparkle never hurt anyone, so wear this with our show stopping Millenia belt for that extra bit of wow factor. 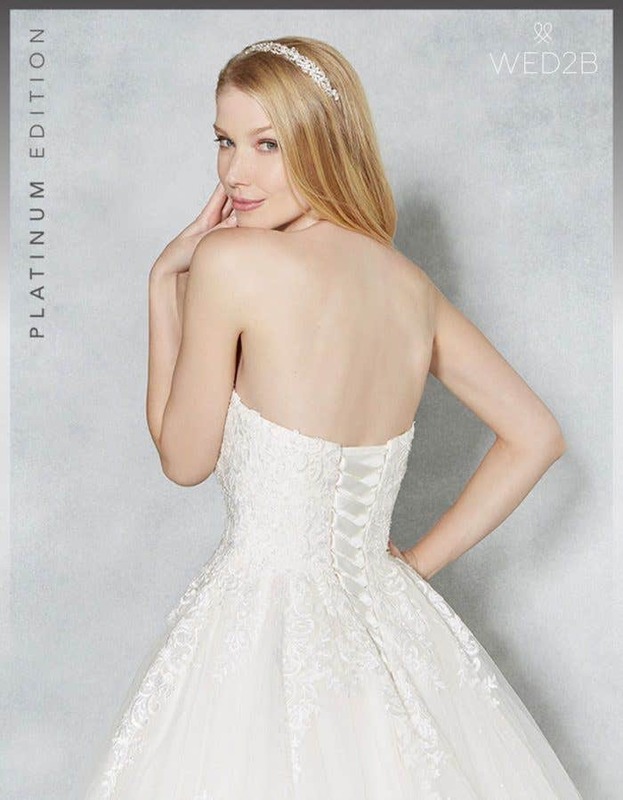 The playful low back features rich satin lacing to pull the bodice in for a great fit. This is also the perfect style for tumbling, princess-worthy tresses too, topped off with our regal Regency tiara. And finally, we come to the magnificent skirt. A layer of blush tulle gives this dress its subtle colour and is complemented beautifully by a sequin tulle underlay, finished off with a stunning lace hem. You can also layer up on our underskirts 163 and 153 for extra bounce and to avoid length alterations. Lastly, if this is the look for you, you might like Camellia and Georgette too. Alternatively, for a similar look with an illusion neckline, try Marielle.